I can’t think about that last line [“You can pulp a story but you cannot destroy an idea. Don’t you understand? That’s ancient knowledge.”] without crying. I can’t think about it without thinking about what ancient knowledge has been destroyed in the systemic abuse of marginalized peoples. I can’t watch that episode without thinking about the times I felt most worthless and undeserving of my jobs as a writer and editor in white-dominant workplaces. I can’t watch Russell’s plaintive bargaining with his editor over his stories without thinking about times I’ve policed myself in the process to appear less aggressive, less brown, less assertive, and less likely to cause problems, because of what I perceived as a clear power imbalance…That’s not an uncommon story, if you care to pay attention, but for people of color or other marginalized groups, it’s unavoidable. Look, Benny, I’m a magazine editor, I am not a crusader. I am not here to change the world, I’m here to put out a magazine. Now, that’s my job. That means I have to answer to the publisher, the national distributors, the wholesalers and none of them are going to want to put this story on the newsstand. For all we know, it could cause a race riot…The way I see it, you can either burn it or you can stick it in a drawer for fifty years or however long it takes the human race to become color-blind. 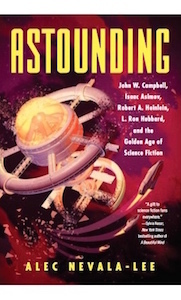 I submitted Nova for serialization to the famous SF editor of Analog magazine, John W. Campbell, Jr. Campbell rejected it, with a note and phone call to my agent explaining that he didn’t feel his readership would be able to relate to a black main character. That was one of my first direct encounters, as a professional writer, with the slippery and always commercialized form of liberal American prejudice: Campbell had nothing against my being black, you understand…In the phone call Campbell made it fairly clear that this was his only reason for rejecting the book. Otherwise, he rather liked it. I wish the world worked the way I thought it did when I was younger.